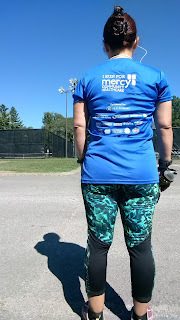 This week I was happy to get back to my normal routine of running. 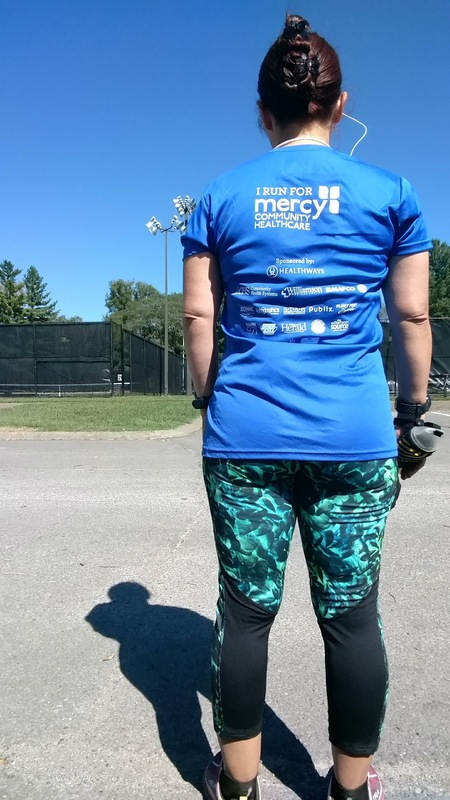 Due to a bruise and a trip to an endurance ride, my last couple of weeks have been a little lean on running. 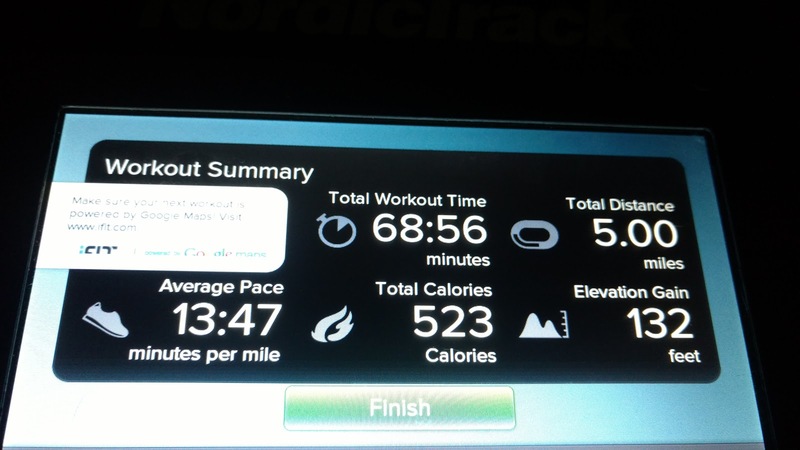 Tuesday I hopped on the treadmill for an easy 5 miles. I've been trying to figure out ways to make my runs a little more interesting on the treadmill. I can't speed up my easy runs. They have to be easy paced. So this time, I created an iFit workout that has the same run/walk ratio as my previous easy runs (run 4.5 minutes, walk 1 minute), but started out with running .25 miles and walking 0.03 miles. Each run/walk interval stayed at the same ratio, but I made it longer by 10% for each interval until I was running 0.60 miles for my last ratio. 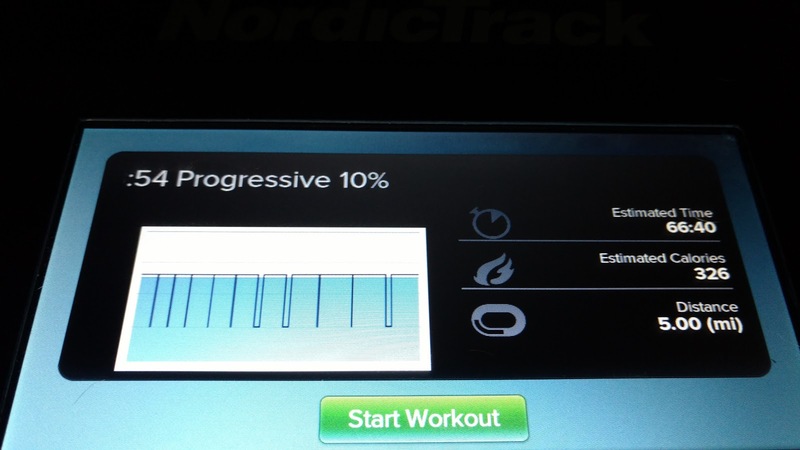 I also had the incline at 0.5% for the entire time. I thought it worked pretty well. Running the trail at the Battlefield. 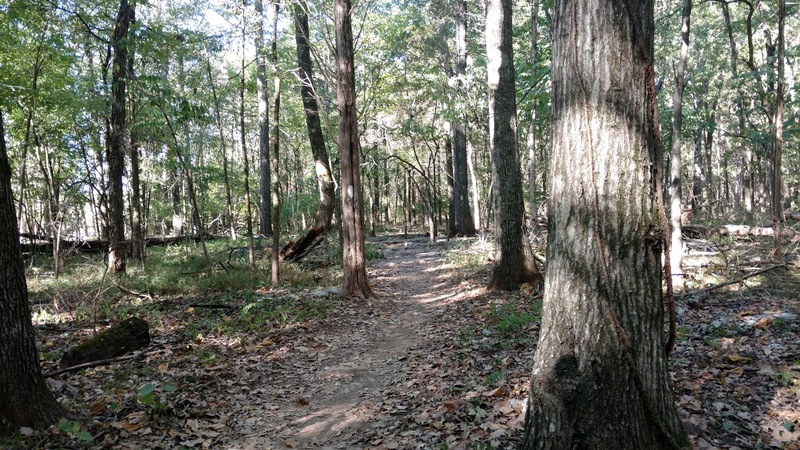 I headed to my favorite running trail in Murfreesboro. 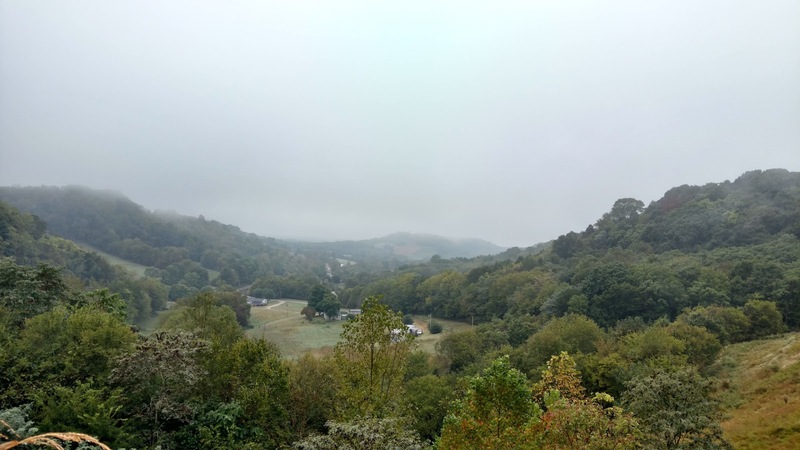 Many times, I run from the General Bragg trail head, but the traffic derailed me this time and I decided to go to the Old Fort trail head instead. I ran north to General Bragg, then up to the Stones River National Battlefield. I really like the visitor center water fountain and bathroom up there! I ran through the battlefield a bit and then headed back to General Bragg and onto the Greenway and back to Old Fort. It was a very pleasant run. I like that route very much. I just wish the General Bragg trail head water fountains worked. It was cooler, about 70°. I drank a good bit. I didn't take my first gel until about 25 minutes in. I usually take it during my warm up. I went ahead and took 2 shot bloks at the 46 minute eat alarm. That worked ok.
My splits were running a little fast. Most of my splits were around 13:20 instead of 13:29. Even the 6th mile that included me going to refill my water bottle and use the restroom. That one was actually at 13:02! I backed it off for a couple miles, but I was back to 13:20 for my 9th mile. I decided to just have fun on the last mile and ran a good bit of it, slowly picking up the pace as I ran. I did walk a couple times in that mile. But I turned in an 11:12 for that split! So much fun. I think I'm ready to bump up my distance if I can still turn out 11:12 after 9 miles! My hair stayed up even after 10 miles! My hair has been getting longer and somewhat annoying when I run. Today I figured out how to get it out of my way. It's very simple. I just pull it into a pony tail a couple of inches above my neck hairline. Then I braid it and secure with a second pony tail holder. Then I lay it up along the back of my head and secure it with two large clips. I really thought that it would fall down under the stress of running, but so far so good! 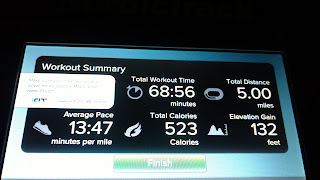 I enjoyed my Tuesday treadmill run so much, I decided to use the same program on Thursday. Normally, I use my Nexus 9 tablet to watch Hulu while I run on the treadmill, but for some reason, it wouldn't turn on. So I used my chromebook instead. 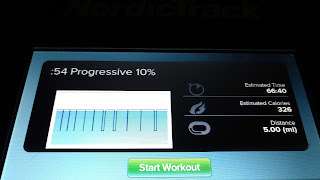 My chromebook takes up so much space that I can't see the treadmill screen while I'm running. So I wasn't able to really keep track of where I was in the iFit program. That was ok though. Yay, hill Friday!! Due to all the stuff going on, I haven't done Hill Friday for four weeks! I picked right back up and ran pretty much the same run I did 4 weeks ago. I did an easy run on the downhills and did 30 seconds jog, 75 seconds walk on the uphills. I do think I'm ready to bump the jog intervals to 45 seconds! Yay! Week 14 is my last full week of training! I have 5 runs scheduled this week and am looking forward to a great week of runs. The weather looks great for my outdoor runs.